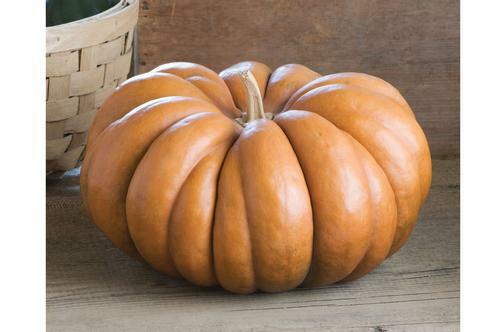 Known as Musque de Provence in their region of origin in the south of France, these late season beauties boast the squat ribbed shape of a Cinderella or Long Island Cheese pumpkin in nutty tan/orange/chestnut hues. Even if they don't quite ripen here, splashes of green add to the appeal. 110 days.